myTomorrows (Amsterdam, the Netherlands) announced today that it has recently signed a contract to collaborate with Hemispherx Biopharma, Inc. (Philadelphia, USA; NYSE MKT: HEB) to provide access to its natural alpha interferon for patients that have become intolerant to treatment with recombinant interferon or where such treatment fails. Through myTomorrows' Internet-based platform, the product is now made available to patients and doctors in Brazil, Columbia and Chile, through an Early Access Program. In January 2012, ANMAT (the agency responsible for the national regulation of drugs, foods and medical technology in Argentina) approved the product for treatment of hepatitis C, multiple sclerosis and cancers in patients whose treatment with recombinant alpha interferon fails or who become intolerant to treatment with recombinant alpha interferon as a result of the appearance of neutralizing antibodies. The US FDA and ANMAT also approved the product for the treatment of refractory and recurring external condylomata acuminate. "We are pleased to include natural alpha interferon on our platform and make the product available to physicians and patients in three Latin-American countries" said Dr. Ronald Brus MD, founder and CEO of myTomorrows. "Once the physician and patient have jointly decided to request early access, we manage the complex and often time-consuming process of receiving approval from regulatory authorities and healthcare insurers and provide the product as quickly as possible." Dr. William Carter, Chairman and CEO of Hemispherx said, "We are very happy to be able to provide a treatment option for patients who have become intolerant to recombinant interferon or for whom such treatment fails. It's great that physicians and patients in Brazil, Columbia and Chile now have the opportunity to access our product under the compassionate use regulations through the internet-based platform of myTomorrows." myTomorrows was founded by physicians and experts from the pharmaceutical and technology industry to provide access to drugs in development and diagnostic tests. 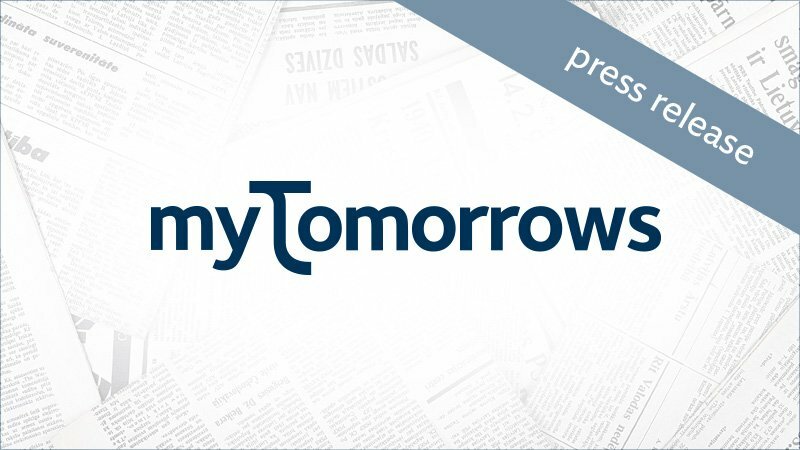 By providing uniform public information about early access programs, clinical trials and diagnostic tests myTomorrows aims to enhance data-driven decision-making and enable rational pharmacotherapy. Hemispherx Biopharma, Inc. is an advanced specialty pharmaceutical company engaged in the manufacture and clinical development of new drug entities for treatment of seriously debilitating disorders especially life-threatening viruses. Hemispherx's flagship products include Alferon N Injection® and the experimental therapeutics rintatolimod and alpha interferon LDO. Rintatolimod is an experimental RNA nucleic acid being developed for globally important debilitating diseases and disorders of the immune system, including Chronic Fatigue Syndrome. Hemispherx's platform technology includes components for potential treatment of various severely debilitating and life threatening diseases including cancers.